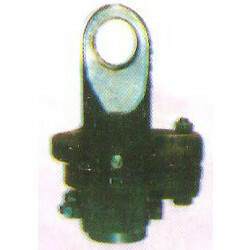 Matching up to the diverse needs of the patrons, we provide the handpicked quality of Clutch Yoke. Keeping in mind the growing trends and agility of the market economy, we are dedicatedly engrossed in offering with an impeccable assortment of Clutch Yoke. Owing to the vast acquaintance, our firm is competent to present Two Wheeler Clutch Yokes. Our customers can avail this product as per their requirements. We provide high quality Clutch & Brake Yoke for the automobile industry. These yokes are available in both three phase and single phase finish. We use high quality raw material for the fabrication of these clutch and brake yokes. With the use of precision engineering, these yokes are dimensionally accurate and have vehicle specific designs. 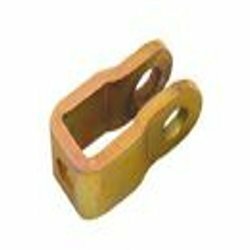 Made of superior quality raw material, these Yokes have precise dimensions and give the vehicles a mechanical advantage. Clutch Yoke is attached to the handlebar of the vehicle and used for the transmission of cables from the clutch handle to the clutch hub. Used for Hero Honda motor cycles, thie Clutch Brake Yoke is sure to be lasting. Special preference will be given to Bulk Requirement.